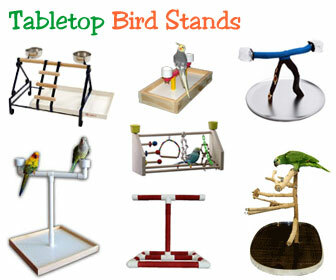 See OVER 185 different table top bird stands for the smallest of pet birds to the largest of parrots, including parakeets and cockatiels to amazons, cockatoos and macaws. 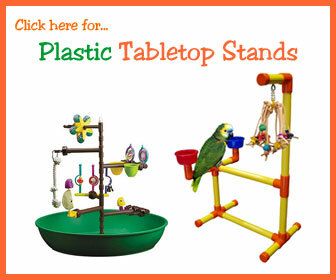 Just click on a category below for the portable bird perch style you’d like to see. 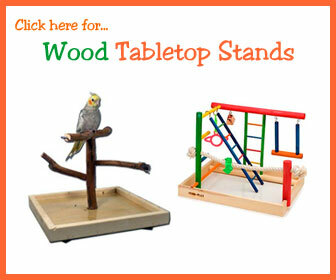 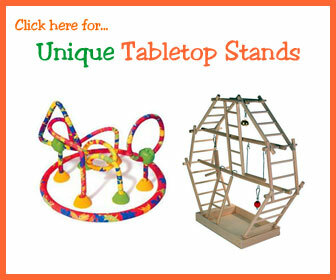 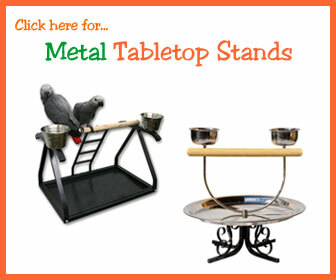 Although there are many different table top parrot stands on the web, these are some of the most common and unique stands that we have found.